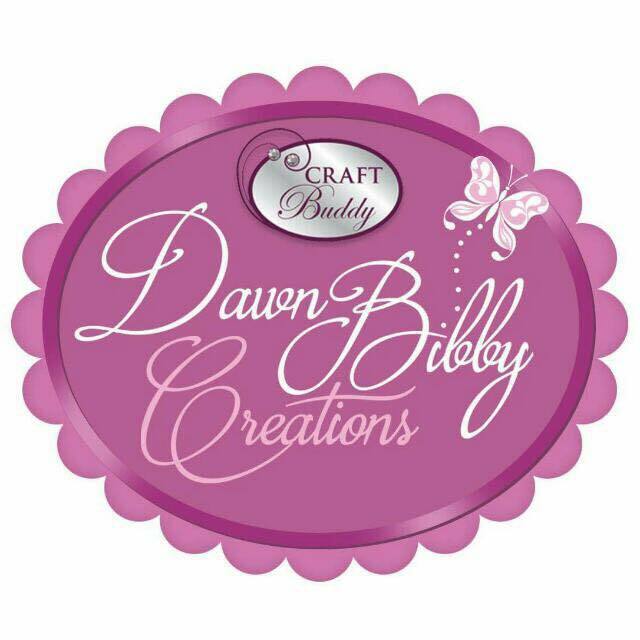 Crafting With Craig: Magnificent Men Hunkydory 4 Day Deal. Last week was another week prepping TV samples for Hunkydory launch of their new collection - Magnificent Men. It is a true honor to be on one of the UKs top papercraft companies Design Team. 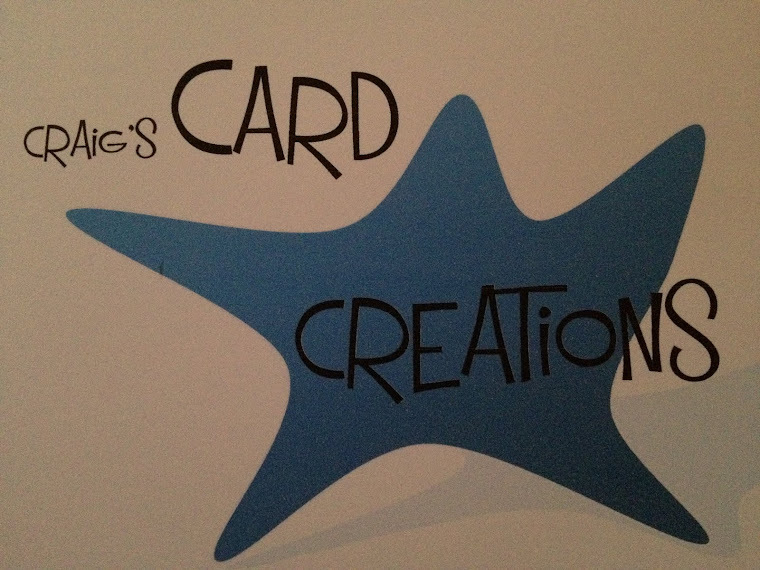 I do love other areas of craft such as stamping etc but Paper craft card making is where i started and its my passion. i just adore the collections that Hunkydory come out with. Sometimes i receive a collection and think its not my cup of tea but when i get started the fun just flows, that's what is magical about Hunkydory in opinion, how they manage to be able to convert me. For example, a previous collection - Fairy Sweathearts. Wouldn't of thought it was my thing - cute cartoon fairy characters but i had a blast creating samples. It really was fun with all the great bright colours and different elements in the collections. Men's collections dont come round often but then they do, HD goes all out and this 4 Day Deal collection is no exception. So many different yet traditional images for all ages. So versatile with what you can create whether its cards or projects or you can even incorporate them into scrapbook pages if you so wish. If you are into your collections and not bought this yet, it seriously worth going for. This card has been made by incorporating my own crafty stash and of course that means using my trusted Stix2 adhesives. Quite rightly all my HD samples for the Create and Craft shows must be used using their own products that are supplied to myself. When it comes to my own cards using the collections then i will always only ever use Stix2. 6mm red liner tape S57090. Layer ferfect metric - S57321. 19mmx38mmx2mm foam pads - S57137. A5 cello bags - S57314. "Handmade by" labels - S57216. They think it's all over topper sheet - Hubkydory Crafts. 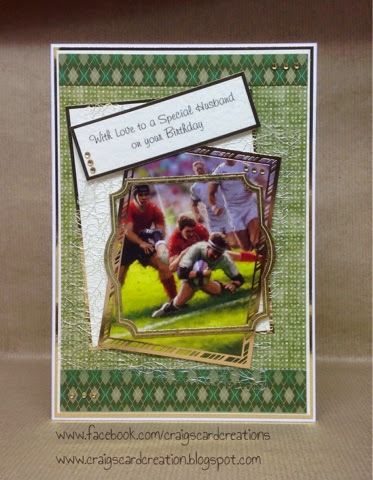 Coordinated background card - Hunkydory Crafts. Frame from pleasure pastimes golf topper sheet - Hunkydory Crafts. Ivory textured card - Bazzill Basics. 3mm gold gems - Mei flower.